We’re bored of writing about Virgil van Dijk, and you’re probably bored of reading about Southampton’s Dutchman – so we thought we’d share this absurd piece we stumbled across this morning! Croatian outlet Index has published a list of failed wonderkids, comparing them to Kylian Mbappe and Ousmane Dembele who both could cost over £100m this summer. And for some mindboggling reason, they’ve included Liverpool’s Ben Woodburn in their list, alongside Hachim Mastour, Martin Odegaard, Umar Sadiq, Joseph Minala, Andrija Balić and Simone Scuffet! Here’s a rough translation of what they had to say about our young Welshman! “A less positive example comes from Liverpool. At the end of November 2016 Woodburn scored against Leeds and at 17 and 45 days he became the youngest shooter in the history of the famous Anfield club. The young Chester striker, who plays for the Welsh team at 19 years, has continued to develop, but has only played five games so far. This is genuinely hilarious how stupid it is. Firstly, Woodburn is 17, not 19, so the entire premise of the article is ludicrous. A player can only be a ‘failed wonderkid’ at aged 23/24, when it becomes clear they will not fulfil their previously suggested talent. 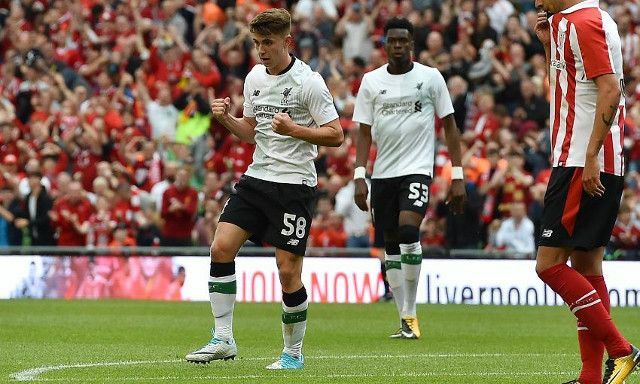 Woodburn tears up trees for Liverpool’s Under-23 side and has impressed all summer during the friendlies. He’ll continue in this team for 2017/18 but will hope to feature on many benches as Jurgen Klopp maximises his development. We’ve turned down loads of bid for Woodburn from top flight European sides, showing the faith the club have in his ability right now, not just his potential.